I have developed a main frame to which you can mount an unlimited amount of implements to be towed behind an ATV, UTV, or garden tractor. The main frame has a 12 volt linear actuator, an on board battery and built in battery charger so you can raise and lower the implements from the seat of your towing vehicle. Also on the main frame is a 4 point latch system to which the implements attach. Simply roll the main frame over the implement, lower it onto the mounting pins, set the latch pins and you are ready to go to work. You can literally switch from one implement to another in less than 30 seconds. 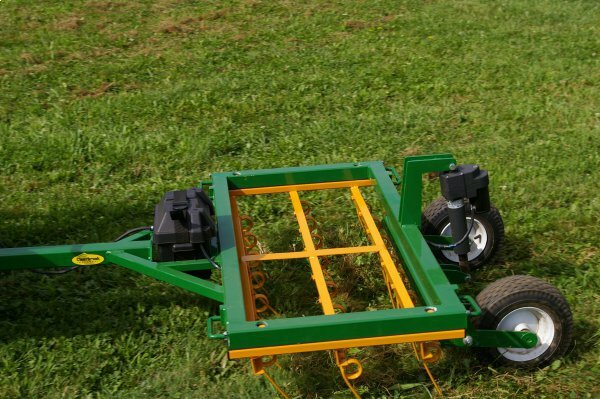 This concept allows the owner to save money on the frame work of individual implements. 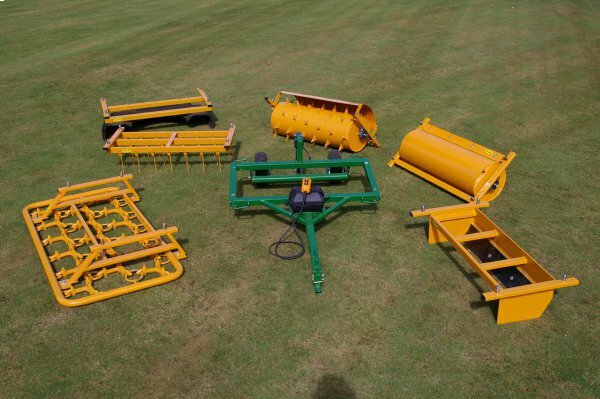 I currently have working models of the main frame and about 10 different implements which include a steel box blade, a spiked lawn aerator, a lawn and pasture dethatcher, a dutch harrow, a rock rake, a cultipacker, a steel fill-able lawn roller and a sport field groomer. The number of implements that can be designed to attach to the mainframe is endless. 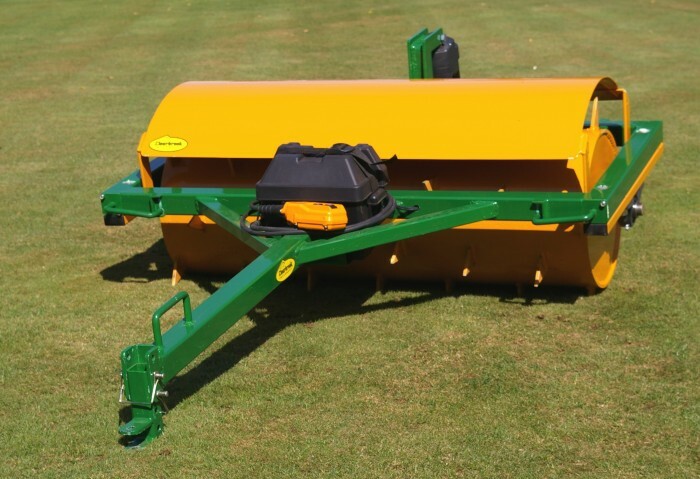 Local research showed a motorized mower deck to be the most popular implement yet to be built. I invented this product in 2009 during the down turn of our economy so I have kept the marketing to a minimum while I focused on keeping my custom metal fabrication business open. The only marketing I have is a you tube video. Search for (clearbrook implements) on you tube. I also have photos on my web page, (www.clearbrookmetal.com). I have several reasons for not actively marketing this product. 1.) I am located in the very northwest corner of Washington state which makes shipping to the lower 48 very costly. 2.) labor resources are very limited in this area driving up the cost of labor. 3.) I don't have the shop and warehouse facilities to handle an operation like this. 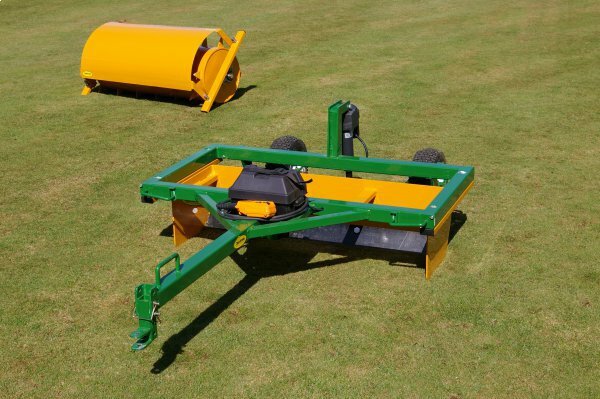 This product covers a wide range of markets including estate owner, equestrian farms, vineyards and orchards, park and rec facilities, campgrounds, golf courses, clay tennis court facilities, schools, and rental yards, and many others. I am looking for someone who can take this product to the next level. I will consider all offers whether it be outright purchase, licensing agreement with royalties or other options. 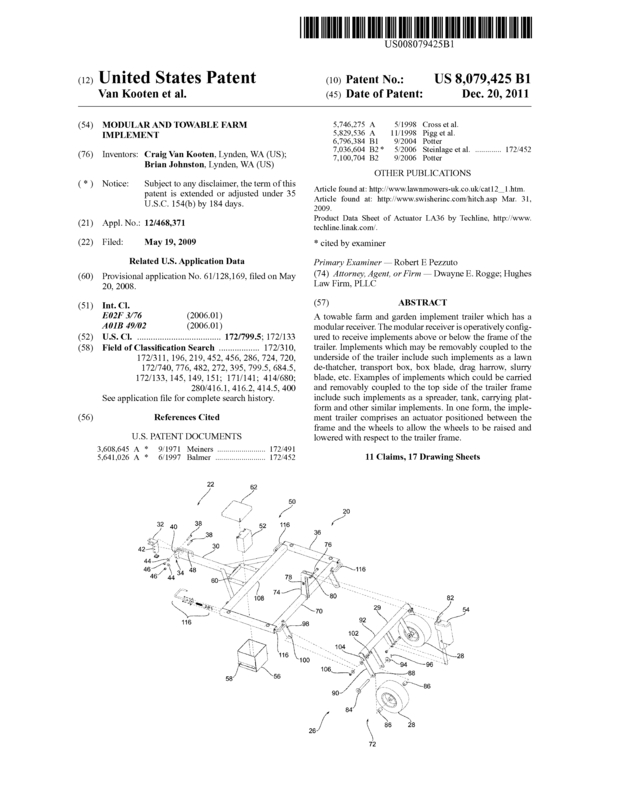 Page created at 2019-04-25 0:42:20, Patent Auction Time.